Shopping at IKEA can actually be pretty fun. The size and layout of these stores essentially make it a day trip; one full of poor attempts to pronounce Swedish words, small arguments about kitchen decor, and tasty meatball lunches. As I cut through the stationery department on my most recent visit, I found stacks of gel pens with the name Fullfölja – I told you that this stuff is hard to pronounce – and grabbed a 3-pack without hesitation because, well, why not? Impulse buying is an IKEA staple. 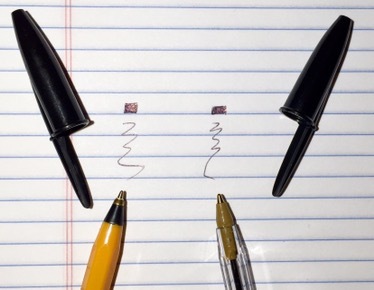 As you’d expect from an IKEA design, the pen is simple and straightforward. It’s about 5.5-inches long with an all-black, rounded barrel and a short cap. There is no clip, and the pen is not refillable. For the tip, I couldn’t find any sizing information, but the pen produces a fairly thick line. So I’d wager that the tip size is about 1.0mm. With such a thick line, the ink does smear easily, but it also produces a satisfyingly dark, black ink. I’ll admit that there’s no shortage of gel pens that, for a similar price, are better than the Fullfölja , but strangely, I like these pens a lot. The design of the pen captures the IKEA brand so perfectly that using one gives me a small hit of the fun/stressful rush you get while shopping at an IKEA. They remind me of the Baron Fig Squire, albeit a plastic version, which I don’t really mind losing if it happens to roll off my table at a coffee shop. I’m certainly not going to encourage anybody to go out of their way to find these pens, and the prices I’ve found online are ridiculous. But if you happen across these during your next IKEA visit, you might as well toss a 3-pack in your bag for $2.50. I think they’re worth it. While there’s a huge variety to Paper Mate’s line of Inkjoy pens, the Inkjoy 550RT is the only one which is “designed for fun.” At least, that’s according to Paper Mate’s marketing department. In reality, however, there’s nothing that’s exactly “fun” about the 550RT, but it still manages to be a decent, disposable ballpoint pen. Really, the design of the Inkjoy 550RT is nice but also relatively plain. Each end of the barrel is covered with a rubbery grip that narrows towards the pen’s middle, creating a very subtle and relatively comfortable hourglass shape. It has faux-chrome accents, a sturdy clip, and a clicker that’s reliable, though not terribly robust. 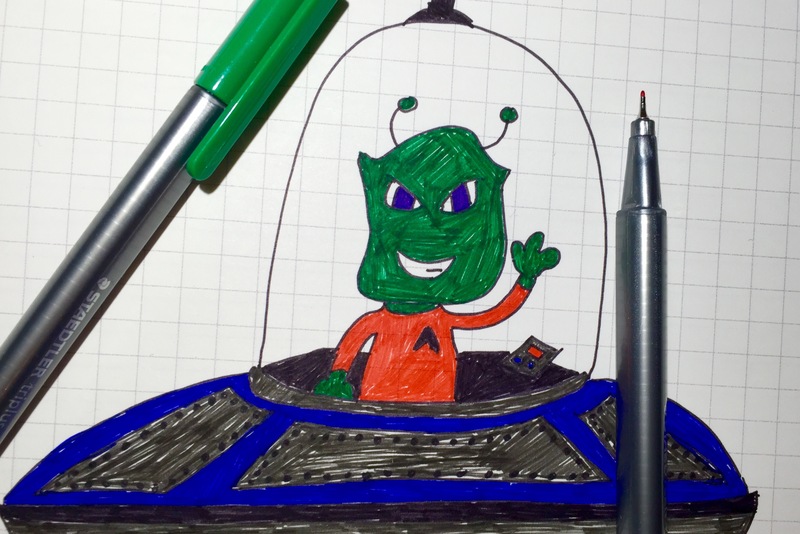 The ballpoint ink is surprisingly smooth and smear-free, and it dries darker than what you’d find with a cheaper ballpoint. Although it’s not quite up there with the Pilot Acroball or uni-ball Jetstream, it’s still a worthwhile product if you’re looking to buy a handful of ballpoints for only a few bucks. Only, you should be sure that your expectation for “fun” isn’t set too high. If you pick up a BIC Orange today, it will probably feel very familiar. Introduced in 1961, it isn’t a major departure from its 1950s ballpoint predecessor, the BIC Cristal (the most ubiquitous pen in the world). In comparison, the Orange’s cap is slightly longer, the hexagonal barrel is rounded-off a bit near one end, and, of course, the pen’s barrel is orange instead of clear. The only major difference is that the Orange has a finer point – 0.8mm, as opposed to the 1.0mm of the Cristal. 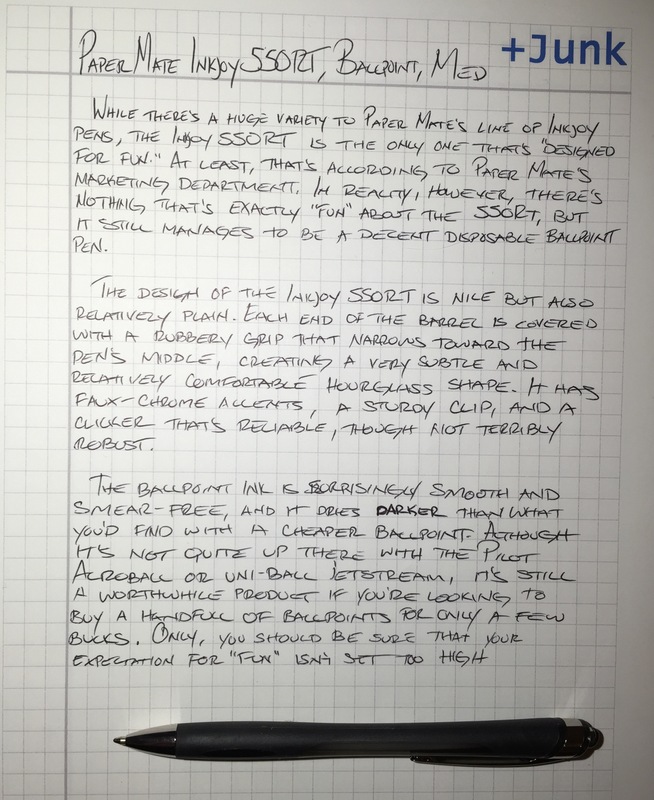 It’s a reliable and capable pen, and it’s exactly what you’d expect an economy-priced ballpoint to be. Really, there’s nothing notable about the writing experience. Search around the internet, however, and you’ll find that the Orange has its fair share devotees. For example, Lou Antonelli writes fondly of the pen on his blog, This Way to Texas, reminiscing of the time he spent using it as a child, learning to read and write. And if Amazon product reviews are anything to go by, a lot of people seem to share this nostalgia. Unfortunately, the Orange was discontinued in the U.S. in 2000 due to “changes in market conditions,” according to an e-mail from BIC. However, it is still available pretty much everywhere else in the world. So if you’re an American who finds that the Orange stirs up the old emotions, you can pick up a pack on your next trip to Canada. Otherwise, if you’re just looking for a cheap ballpoint with a finer tip, it’s a lot easier to get your hands on a 0.8mm BIC Round Stic. With over 100 billion pens produced since 1950, the BIC Cristal is the most popular – or, at least, most common – pen in the world. It’s the king of the office supply closet and the original economy pen, manufactured and sold worldwide. The Cristal even made it into the Museum of Modern Art for being a classic example of efficient, industrial design. It’s inexpensive and available everywhere, but, in terms of performance, the Cristal is a mixed bag. 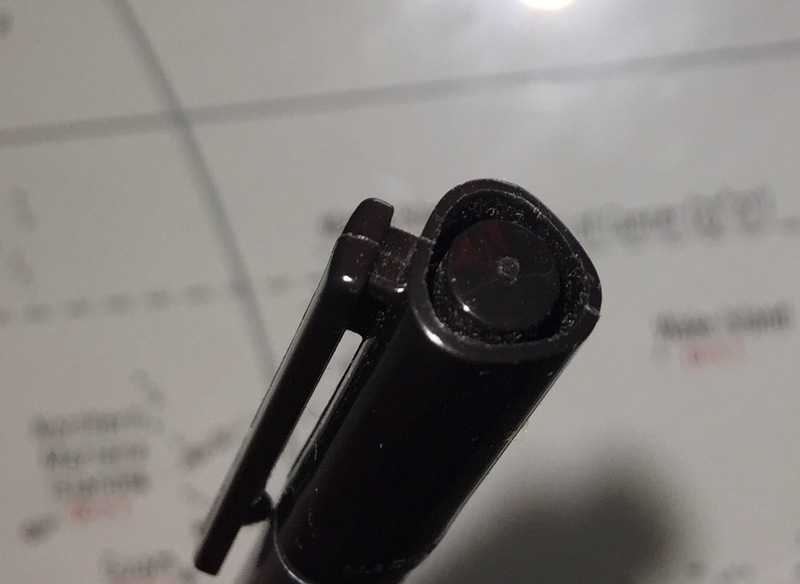 It’s a reliable pen that always writes when you pick it up, but the thin, plastic barrel becomes very uncomfortable to hold after writing more than a few sentences. For a ballpoint pen, the ink is nice and dark, but it’s also very sluggish. It often feels like writing with syrup. But for the price – a dozen pens for a couple bucks – it’s difficult to complain too much. 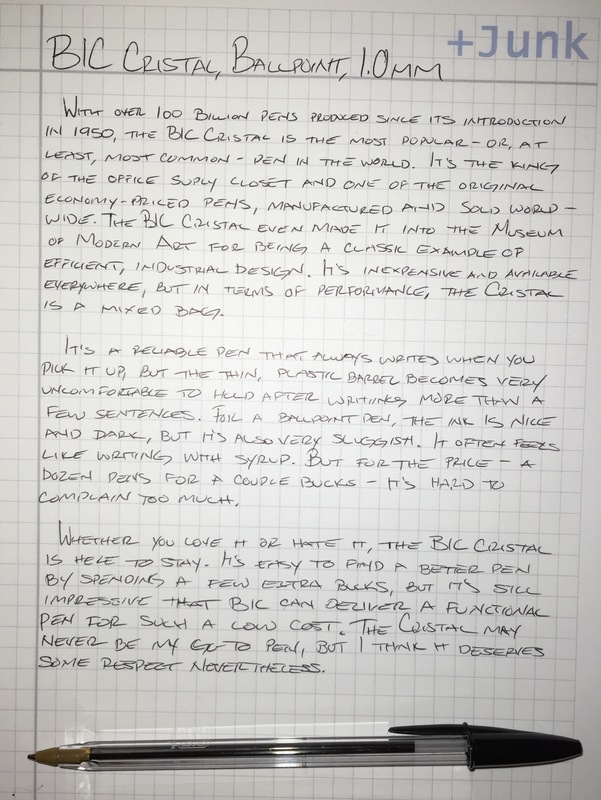 Whether you love it or hate it, the BIC Cristal is an icon that’s here to stay. It’s easy to find a better pen by pending a few extra bucks, but it’s impressive that BIC can deliver a functional product for such a low cost. The Cristal may never be my go-to pen, but it has my respect nevertheless. A history of the BIC Cristal, produced by BIC at the Cristal’s 60th anniversary. It’s an interesting read, especially if you want to see Salvador Dali holding a Cristal. 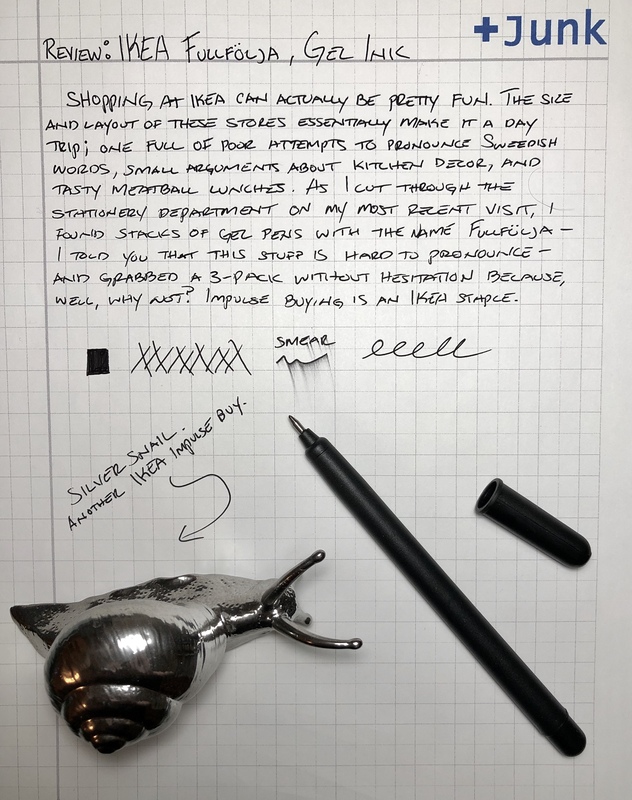 A review at Scribomechanica summarizes the Cristal really well: you can do better with other pens, but that’s not the point. The point is that the Cristal is really inexpensive, yet reliable. 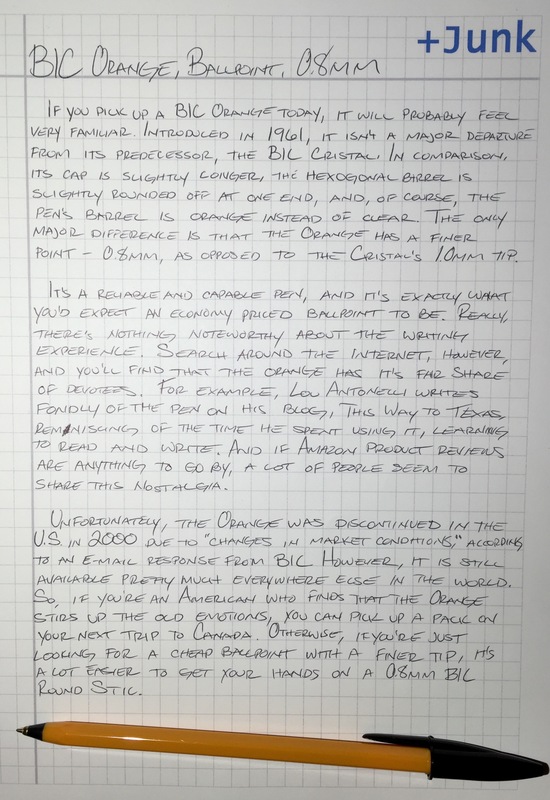 The review at The Pen Addict is very positive towards the Cristal, with his primary complaint being the white-space within the lines of ink. 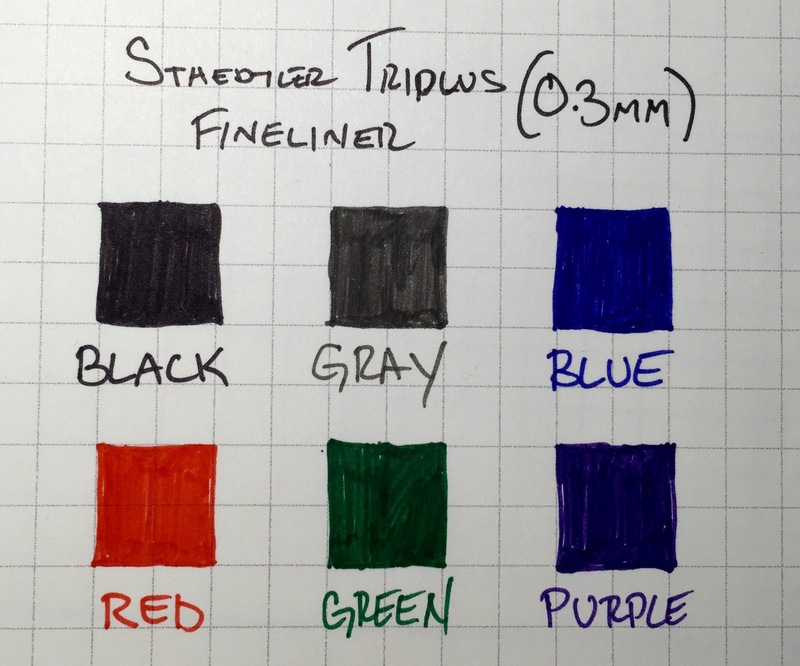 As an instrument for writing, I wasn’t particularly fond of the Staedtler Triplus Fineliner’s barrel shape, a unique design that resembles a rounded-off triangle. But for drawing and coloring, this design seems to work pretty well. Almost like a grip, the flat edges allow for a little more control, whereas fully rounded and smooth barrels can sometimes slip in your hand. 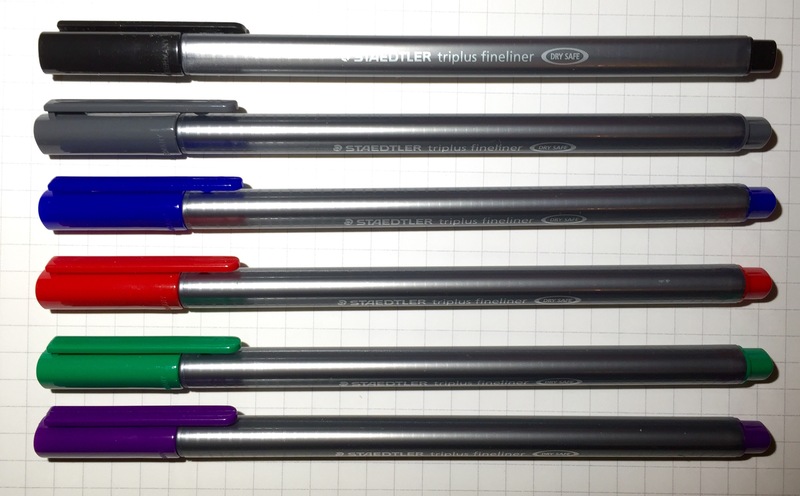 This six-color set, is fairly standard in terms of color variation, so they could work well for utilitarian tasks like taking notes and editing papers. However, these pens are also very good at filling in areas and creating clean lines, so I’m inclined recommend them for more artistic purposes. It’s also worth mentioning that Triplus Fineliners are “dry safe,” which means that you don’t have to worry too much about capping and uncapping these pens – they take days to dry out. So, if you’re working on something especially detailed, it will save you an extra step when going back and forth between colors. But no matter what you might use them for, they are really a quality set of pens. In fact, I might have to look into adding a few more colors to my collection. Note: that alien looks a lot more menacing than I intended.